MegaBass is a very much design orientated, seriously class Japanese fishing tackle brand, and they make some killer bass fishing lures. 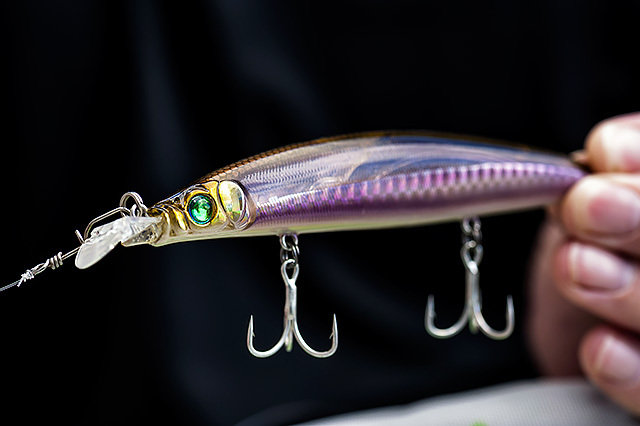 A shallow running minnow kind of hard lure that essentially “wakes” (rolling with a sort of side to side head action) under the surface when you retrieve it at a slow to medium pace. The MegaBass Cutter 125 (125mm, 18g) casts well and the action is just so subtle and seductive. This little MegaBass FX9 (saltwater version, 90mm, 11g) swims fairly shallow, and you can very easily force it up even shallower via a higher rod and a slightly slower retrieve. The action is a very, very intense kind of wobble/rock from side to side to side that really lets the sides of the lure almost flash in the light, and it is interesting to note that the FX9 has done well for me in very bright and flat conditions. Look at this thing and you get little idea how stupidly well it’s going to get out there in some lively conditions, and then wow does this MegaBass X-80 Magnum (115mm, 17.5g) grip into that turbulence. The MegaBass X-120SW (120mm, 12.5g) has a really nice tight, wobbling/rolling action that obviously does it for the fish, and it swims fairly shallow. For some reason this lure has worked the best for me when I retrieve it with my rod tip pointing upwards. This “little” lure just flies and it’s incredibly stable for its size. This MegaBass X-140SW (140mm, 19.5g, floating) is a killer bass lure – it casts like a bullet, it looks stunning in the water, and the first two bass I saw caught on one weighed 10lbs and 8lbs - in consecutive casts as well !! Check here. 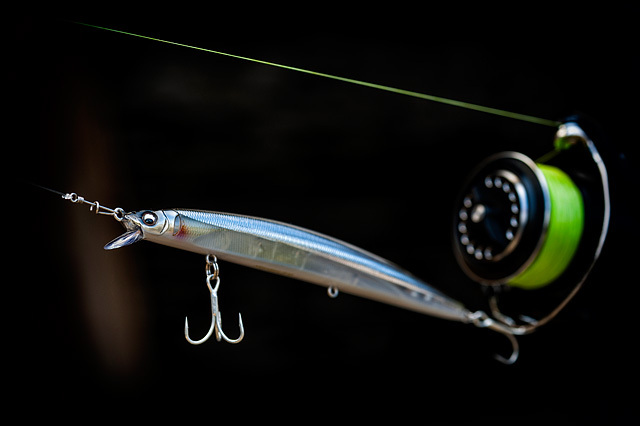 The action is a very intense, classic kind of minnow rolling wobble, and the X-140SW can really be worked hard as well – twitch, pause, etc., and the lure naturally floats slowly back to the surface when you leave it be. The kind of larger minnow I don’t like going bass fishing without and they have a habit of nailing big bass. A very long distance casting lure. The MegaBass Zonk 120 Gataride (120mm, 18g) can simply be cranked in at a medium pace, but it also works well if you put some action into it via your rod tip. You need to watch out for that fairly fragile plastic lip – if it gets banged too hard on the rocks then it can break.